2019 Cheer and Football - Early Bird Discounts Activated!! FOOTBALL & CHEER REGISTRATION IS NOW OPEN!!! PFE is gearing up for another incredible season of cheer and football!!! Flag Football (ages 3.5-5) are now open for registration! 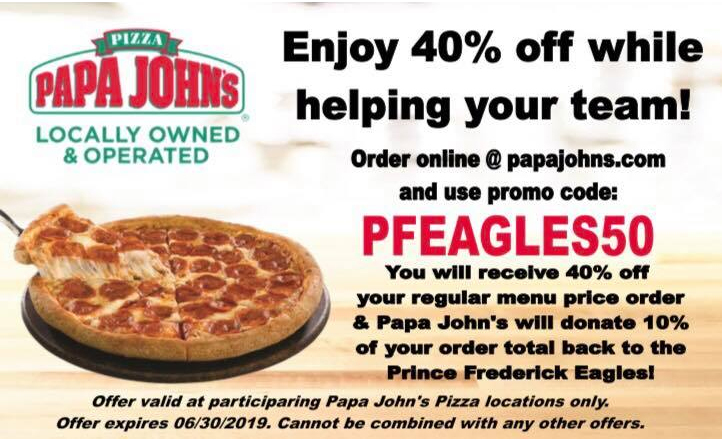 Enjoy 40% off regular menu prices at Papa John's and help the Prince Frederick Eagles!! The code is good online until the end of June 2019. 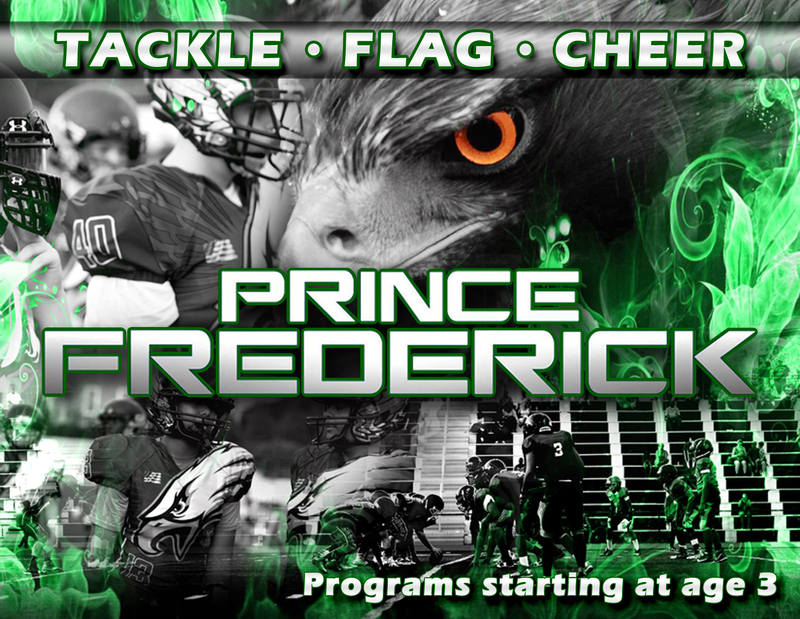 The Prince Frederick Eagles offer youth football, cheerleading, and lacrosse programs in various seasons! The Prince Frederick Eagles organization is a nonprofit sports and recreational club for children ages 4-15 to learn and grow on and off the field. Serving student-athletes throughout southern Maryland from Calvert County, Charles County, St. Mary's County, Prince Georges County, and Anne Arundel County.